If you are looking fora reliable appliance service company in Pasadena, California, then you are in the right place. We have a vast experience in the field. Our team has been providing commercial appliance repair Pasadena services for many years.We work to make things easier for those who run local businesses. Our commercial appliance service includes repair, maintenance and installation. All you need to do is to give us a call. We will take care of the rest. No matter how complex the task is, you can rely on our appliance service technicians! When calling In Town Appliance Repair Pasadena, you can feel confident you will get the service you need and deserve. Our techs will inspect your unit and give an honest assessment on the situation.You will also get an upfront estimate of the total cost before any job starts. That way, you can decide on whether commercial appliance repair or replacement is the more cost-effective option for your needs. Aside from repairs, we provide routine maintenance service. 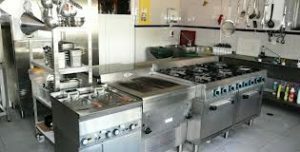 It is designed to help owners save costs on refrigerator,dishwasher or stove repairs in the long run.During the inspection, we will check all parts of your commercial kitchen appliances. We will also diagnose voltage, temperatures and gas pressure, and make some adjustments if needed.With our regular check-ups, you will forget about fridge or oven repairs for a longer time. No doubt that you’ve made a significant investment in your appliances. If you want to avoid early oven, fridge or freezer repairs,you should entrust the installation to our specialists.With an extensive knowledge in the field, we can handle the job in the most professional manner. Over the years, we’ve installed hundreds of commercial appliances across the area. Not only will we make sure your unit is running according to manufacturer’s specifications but also educate you on how to maintain it properly.​Contact us today to experience a high value of our Pasadena commercial appliance repair services. We would be happy to work with you!